The fastest way to promote your local business on the go! 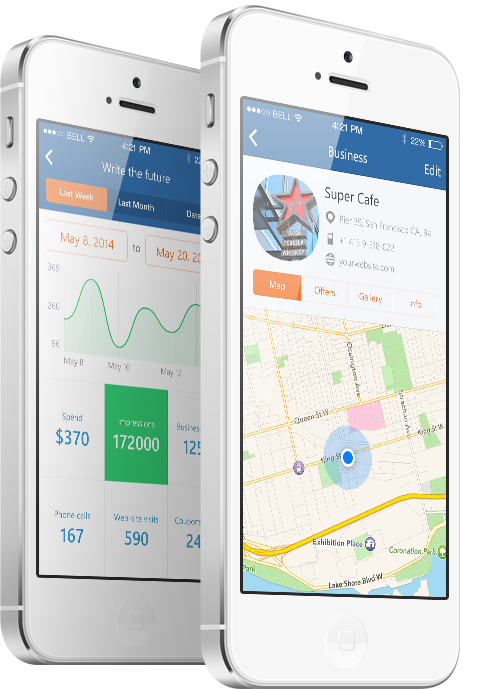 App Overview We help small businesses create localized campaigns targeted to their precise audience, all in under 5 minutes. Add information about your property here: name, location, phone number, website, etc. Customize it with Business logo, photo gallery, special offers to get maximum traction. Define location where you would like to show your ads, choose targeting, running dates add special offers and press “Start” button. We will do the rest for you. Find all important information about your campaign: number of customers who saw your ad, how many then call you, visited your website and more. Check daily statistics for all your marketing campaigns and businesses, be informed about all your expenses. Review and manage all your photos, galleries and special offers in one place, keep your businesses always updated with fresh photos and offers. Manage your personal data here: change passwords, manage credit cards, edit profile photos, etc. 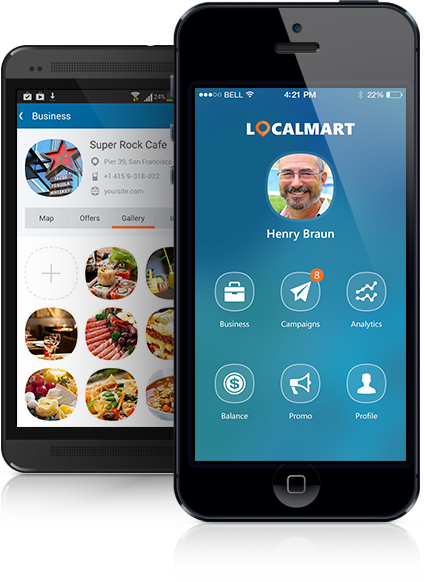 LocalMart features Localmart reinvents locally based advertising by using hyper-local geo-targeting to reach customers most likely to purchase nearby products or services. Set marketing campaign details and press start. It’s that simple! We will create stunning promo materials unique for your business, and distribute your advertising directly to your customers smartphones. We bring customers, not clicks!